Apple Card is a new kind of credit introducing by this Summer by Apple with simplicity, transparency and privacy. This Apple card is in iPhone wallet app, you can buy things with this wallet app or use Apple‑designed titanium card anywhere in the world. You can sign up in no time and start using it right away with Apple Pay. For every purchase you make, you get Daily Cash. And it really is cash. So you can spend it however you want, right from your iPhone. 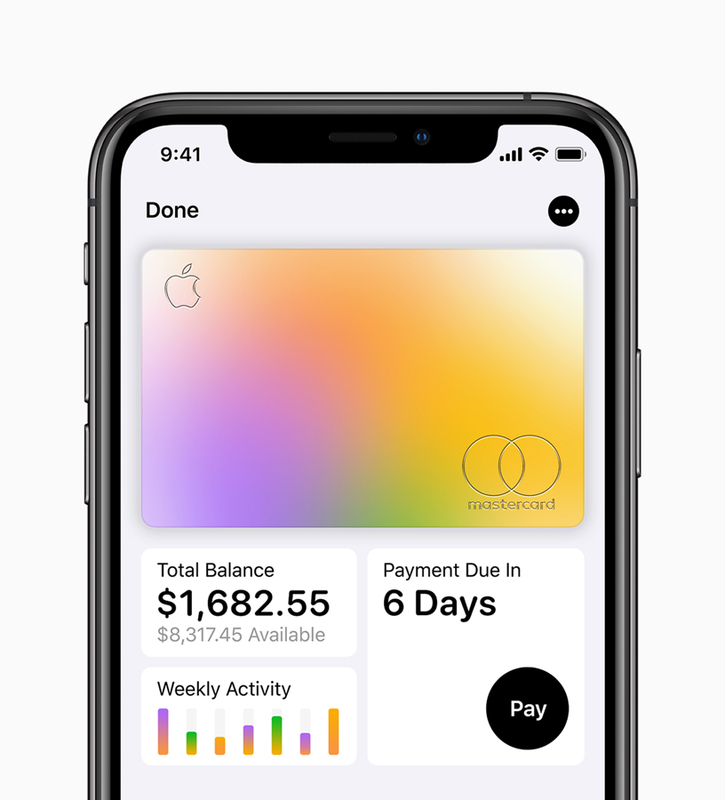 Apple partnered with Goldman Sachs and master card to issue the credit card for consumers. This is the first consumer credit card issued by Goldman Sachs. You get a percentage of your purchase back in Daily Cash, for each purchase. Estimate interest, during partial payment. “Internet” was the most innovative technology in 20th Century, invented in 1990 by Tim Berners Lee. Currently, many researchers enthusiastically say that the “Blockchain” technology, the decentralized “digital ledger” system is an important invention in 21st century and it is the future. Blockchain became most popular after invented the first crypto currency Bitcon in 2009 by Satoshi Nakamoto – is a pseudonym. Blockchain changes the software model from centralize to decentralize with its unique rich features: trust, immutable and secured. Hope you agree with the above unknown quote and it exactly suite for blockchain technology. Once record pushed in Blockchain, that past record cannot be changed, edited or deleted. Only you can add a new record in Blockchain. Blockchain is a globally shared database and a distributed digital ledger that allows transactions to occur without a middleman such as government, bank, Credit Card Company, finance company etc. In Blockchain serious of records (Blocks) are linked and stored in cryptography method. Chain of blocks are created and stored in decentralized network. These blocks are not stored in centralized server nor controlled by an individual, it stored in decentralized system. There is no central database in blockchain technology. No one or group of people has the power to change or tamper the data in block chain technology. Blockchain is an extremely dynamic, fast growing and incredibly popular emerging technology in current market. Very soon Blockchain technology will replace most of the middlemen by automating business processes and the world will be running on Smart contracts. Blockchain technology can simplify, streamline, automate transactions and revolutionize many industries / sectors like Banking, Finance, Insurance, Logistics, Supply chain management, Medical & Healthcare, Government, Ecommerce, Media and Entertainment, Automotive sector and more. Blockchain is a distributed network and works in Peer to Peer Network with consensus mechanisms. The most popular consensus mechanisms are PoW (Proof of Work) and PoS (Proof of Stake). The other types of consensus mechanisms are Delegated Proof of Stake (DPoS), Proof of Importance (PoI), Multisignature/Byzantine Fault Tolerance (BFT), Federated Byzantine Agreement (FBA), Proof Of Capacity (POC), Proof Of Elapsed Time (POET) etc. Bitcon uses PoW and Ethereum is going to use PoS (currently PoW) consensus mechanism to validate its transaction before add to the Blockchain network. Consensus mechanisms are most important in Blockchain in order to function correctly. Its responsibility is to make sure everyone use the same Blockchain network. Also it make sure that each node in the network are connected with each other and agree on the transactions before add to the Blockchain network. In Blockchain technology data stored with previous block Hash (Cryptographic method). It makes hard for anyone to tamper the data in Blockchain network. When Bitcoin was released in 2009, people did not know how to use it and where it can be implemented, except booking keeping transactions. After a decade a unique platform created on the Blockchain network, it is called Ethereum. Ethereum is the first Blockchain based platform implemented the concept of Smart Contract. In IT industry, the most famous and attractive word after the “Internet” is “Cloud computing”. Cloud computing provides platform to store and access your files from anywhere, anytime and any device. Invention of internet is the base for development of Cloud Computing platform. Big companies are entered into the cloud computing market due its huge market share. Regardless of industries, all are using Cloud Computing services, due to its flexibility, scalability, reliability, simplicity, availability (24/7) and low cost. Private Cloud stores all your files stored in your own premises (onsite) and able to access your files anywhere, anytime with any devices. Ex. OwnCloud, Openstack, Cloudstack etc. Hybrid Cloud stores your files in your own premises and remote locations. It consist of private cloud and public cloud. Ex. Healthcare Industries, Law industries etc. ISO 27017 is an international standard of practice for information security controls based on ISO/IEC 27002, specifically for cloud services. ISO 27001 is one of the most widely recognized, internationally accepted independent security standards. The American Institute of Certified Public Accountants (AICPA) SOC 2 (Service Organization Controls) and SOC 3 audit framework defines Trust Principles and Criteria for security, availability, processing integrity, and confidentiality. The Privacy Shield Frameworks are designed to provide a mechanism to comply with data protection requirements when transferring personal data from the European Union and Switzerland to the United States in support of transatlantic commerce. MIT Researchers created tiny magnetic robots using 3-D printers and this Magnetic 3-D-printed structures crawl, roll, jump, and play catch. The movement of 3-D printed structures can be controlled using a wave of a magnet. This new printing technique could be used to develop remotely controlled biomedical devices. Gitlab announced that Gitlab.com is migrating from Microsoft Azure to Google Cloud Platform to improve the performance and reliability of GitLab.com. Gitlab believes Kuberbetes is the future. It’s a technology that makes reliability at massive scale possible. They chosen GCP as their cloud provider because of desire to run GitLab on Kubernetes. Google invented Kubernetes, and GKE has the most robust and mature Kubernetes support. 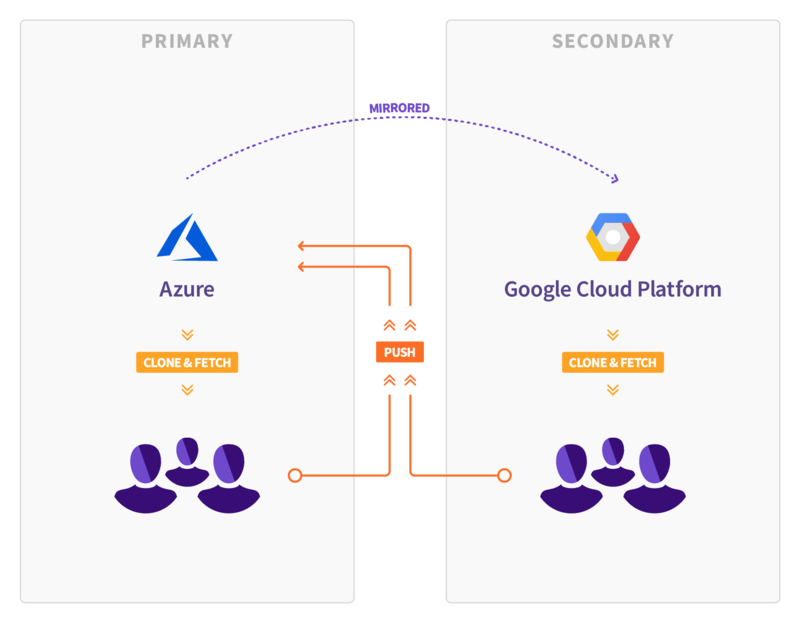 Migrating to GCP is the next step in their plan to make GitLab.com ready for your mission-critical workloads. The migration is currently scheduled for Saturday, July 28, 2018. Cloud is no longer an emerging technology. Now that businesses large and small are realizing the potential of cloud services, the need to hire individuals who can manage cloud workloads has sky-rocketed. Google Cloud launched a new Associate Cloud Engineer certification, designed to address the growing demand for individuals with the foundational cloud skills necessary to deploy applications and maintain cloud projects on Google Cloud Platform (GCP). The Associate Cloud Engineer certification joins Professional Cloud Architect, which launched in 2016, and Data Engineer, which followed quickly thereafter. These certifications identify individuals with the skills and experience to leverage GCP to overcome complex business challenges. Since the program’s inception, Google Cloud Certified has experienced continual growth, especially this last year when the number of people sitting for Google professional certifications grew by 10x. Because cloud technology affects so many aspects of an organization, IT professionals need to know when and how to use cloud tools in a variety of scenarios, ranging from data analytics to scalability. For example, it’s not enough to launch an application in the cloud. Associate Cloud Engineers also ensure that the application grows seamlessly, is properly monitored, and readily managed by authorized personnel. VeriSign, Inc. a global leader in domain names and internet security, announced that the first quarter of 2018 closed with approximately 333.8 million domain name registrations across all top-level domains (TLDs), an increase of approximately 1.4 million domain name registrations, or 0.4 percent, compared to the fourth quarter of 2017. Domain name registrations have grown by approximately 3.2 million, or 1.0 percent, year over year. The .com and .net TLDs had a combined total of approximately 148.3 million domain name registrations in the domain name base at the end of the first quarter of 2018, with an increase of approximately 1.9 million domain name registrations, or 1.3 percent, compared to the fourth quarter of 2017. The .com and .net TLDs had a combined increase of approximately 4.6 million domain name registrations, or 3.2 percent, year over year. Finally, Microsoft decided to sell their own branded laptop in the market, like apple and introduced ‘Surface Laptop’. Surface is laptop not tablet. Surface Laptop comes with four rich tone-on-tone colour combinations (Burgundy, Platinum, Cobalt Blue and Graphite Gold) and a clean, elegant design. Surface Laptop is designed for Windows 10 S — streamlined for security and superior performance. Applications are delivered via the Windows Store, ensuring that they’re Microsoft verified. Surface Laptop is thin, light, and powerful, with luxurious touches and a perfect balance of performance, portability, and battery life. Surface laptop is convenient for travelling due to its light weight 1.25 Kgs and better battery life of up to 14.5 hours. Searching for a job? It will be getting easier than before. As announced in Google I/O 2017 conference, google launched it’s new feature for job seekers in US. This new job search features used machine learning to get the results from various job sites. When you search for “jobs near me,” “teaching jobs,” or similar job-seeking queries, you’ll see in-depth results that allow you to explore jobs from across the web. Google is working with a number of organizations from across the industry to bring the most comprehensive listing of jobs – including LinkedIn, Monster, WayUp, DirectEmployers, CareerBuilder, Glassdoor and Facebook. This means you’ll see job postings from these sites and many others from across the web as soon as they’re posted. Also direct employers jobs listing can be appears in this google job search list and for this google announced ‘open documentation‘. Augmented Reality (AR) and Virtual Reality (VR) continue to gain momentum in the mainstream tech media. According to recent forecast data from the International Data Corporation, (IDC) dedicated AR and VR headsets collectively are expected to grow at a very strong pace from just under 10 million units in 2016 to just shy of 100 million units in 2021, with a 5-year CAGR of 57.7%.